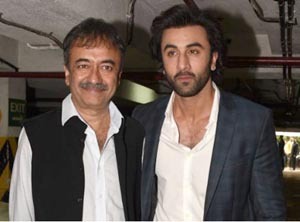 Ranbir Kapoor and Raju Hirani on Sabse Smart Kaun? The team of Sanju is promoting their film in full swing. Right from becoming a commentator for the IPL finals to visiting shows, actor Ranbir is leaving no stone unturned for his film of the year. Making his debut on the small screen will be his boss man, Raju Hirani. We hear that the makers have approached the two to test their smartness along with host Ravi Dubey on the show. If everything goes well, we will see the magic of team Sanju very soon!